Someone left the barn door open and, somehow, Tony escpaped. There are some clues to his whereabouts; however.. 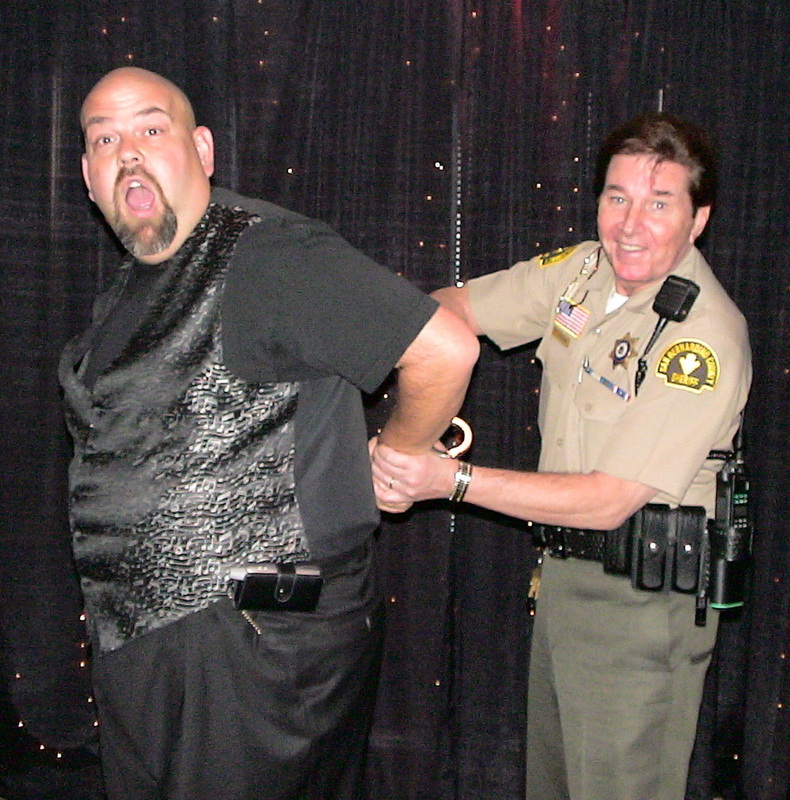 In this picture on the right, famed television icon and Los Angeles Sheriff's deputy Bobby Sherman was seen showing Tony some new jewelry that Los Angeles County has been offering samples of. We have tried having our people call Bobby's people but all we heard was the distant sounds of popular songs from the 1960s and 70s. The next time we heard from Tony was a full beard later when he was seen riding around in vintage Ford with a distinctive two-tone paint scheme. These two pinup models were muttering something about excessive use of puns or something along those lines. There was a ransom note found, written completely in binary code and littered with puns. While we're not sure what this would accomplish, other than completely wasting your money, we did put this PayPal button here to help pay ransom should anyone want to give Tony back.